The Art of Teaching Science emphasizes a humanistic, experiential, and constructivist approach to teaching and learning, and integrates a wide variety of pedagogical tools. 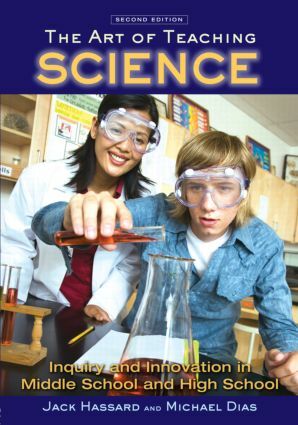 Becoming a science teacher is a creative process, and this innovative textbook encourages students to construct ideas about science teaching through their interactions with peers, mentors, and instructors, and through hands-on, minds-on activities designed to foster a collaborative, thoughtful learning environment. This second edition retains key features such as inquiry-based activities and case studies throughout, while simultaneously adding new material on the impact of standardized testing on inquiry-based science, and explicit links to science teaching standards. Also included are expanded resources like a comprehensive website, a streamlined format and updated content, making the experiential tools in the book even more useful for both pre- and in-service science teachers. Problems and Extensions, On the Web Resources and Readings guide students to further critical investigation of important concepts and topics. An extensive companion website includes even more student and instructor resources, such as interviews with practicing science teachers, articles from the literature, chapter PowerPoint slides, syllabus helpers, additional case studies, activities, and more. Visit http://www.routledge.com/textbooks/9780415965286 to access this additional material. Jack Hassard is Professor Emeritus of Science Education at Georgia State University. Michael Dias is Assistant Professor and Coordinator of Biology Education at Kennesaw State University.